Yep. After this past weekend of childrens' multiple sporting events, the Olympics feel like a distant memory. Was it really only 10 days ago? I want to send out congratulations to team Usana (all the athletes smart enough to be fueling their body with optimal nutrition from Usana). A total of 30 medals- 13 of them gold, which would place Usana in 2nd place overall if it were a country. Coincidence? I think not. Last week I talked about the paradox of exercise. Basically it's how the more exercise you do, the better for your health, but also the more damage you're doing to your body through free radical damage. Read it here if you didn't already. What you need to do instead is realize the importance of antioxidants. The benefits of exercise far outweigh the risk of free radical damage. Because here's the thing: free radical damage can be prevented or at least reduced significantly. Just like antioxidants prevent oxidative stress in everyday life, they do in exercise also. The more intensely you exercise, the more antioxidants you need. Of course, most antioxidants come from fruits and vegetables. And if you're like most people, you're lucky if you get the minimum of 5 servings a day, let alone 10 or 15! And even if you did, you still wouldn't get enough antioxidants. 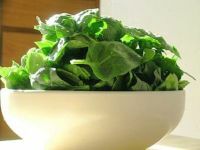 For example, you would need to eat 33 pounds of spinach (or 5 pounds of wheat germ) everyday just to get the amount of vitamin E your body needs. Good luck with that! If you're an elite athlete(or exercising with similar intensity), you definitely need to supplement with antioxidants. There's no way you could possibly get enough through your diet. And that's just antioxidants- you can't possibly get all the OTHER nutrients your body needs for that elite level from diet alone either (but I've already talked about that- check out this back issue if you missed it). Supplementing is the best way to make sure you're getting enough antioxidants to offset the oxidative stress from exercise. You would have to do a lot of planning and eat a HUGE amount and variety of foods to get enough antioxidants from your diet. Even then, it couldn't be done- you'd have to eat so much that you'd become obese, which kind of defeats the purpose of exercising and antioxidants for your health, doesn't it? Supplementing in sports is a tricky business though. If you're competing at all, you have to be really careful what you take because you don't want to risk testing positive for a banned substance. Unfortunately, the quality of most supplements available is pretty poor and therefore not trustworthy. I've discovered a high-quality antioxidant supplement that also has all the other nutrients your body needs for whatever level of sports and exercise you do. And here's something cool: the company is so confident in their quality that they have a million dollar guarantee that you will never test positive for a banned substance as a result of their supplements. No other company will guarantee that! Because of this, they have many world-class athletes taking their products, including many Olympic athletes. Even more important is how much these athletes love the supplements because they've found they are performing at an even higher level since starting them. That's pretty impressive! Click here to purchase or find out more about these excellent supplements. The happy ending to my story (from last week): Since I've started these supplements, my knees no longer bother me, I have better endurance than my (much!) younger teammates and I recover much faster from injury. Aside from the other health benefits I've noticed, it's been worth it just to get rid of the knee pain! And I no longer worry about what kind of damage I'm inflicting on myself by continuing to do what I love. So please, continue exercising. Just use proper supplements to protect your cells first. What supplements is he talking about? Find out by filling out the form on this page.